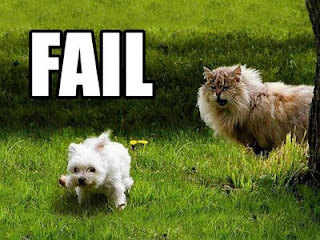 Alex Bain found Fail Dogs, a site devoted to pictures of dogs not winning. I think it's the funniest site I've seen in months. Holy cow.